In today’s economy, saving money is a good thing. And here’s a way you can save 7.5% on anything and everything that Brownells sells. 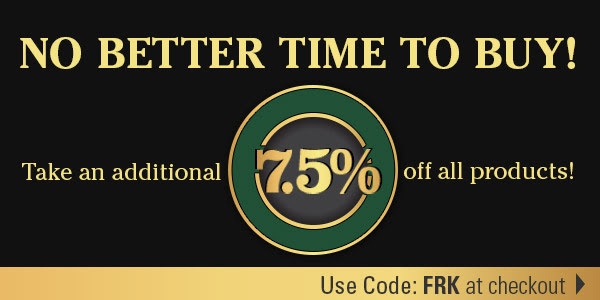 To celebrate its 75th year in business, Brownells is offering a special 7.5% discount on all products. Yes, this 7.5% savings applies to everything Brownells carries, including current sale items. To get your 7.5% savings, be sure to use Discount Code FRK during checkout while shopping at Brownells.com. This is a limited time offer. Share the post "Save 7.5% on All Products at Brownells — Even Sale Items"
The code ALSO works on the Sinclair site. I just tried a SALE item on their site and the discount code was applied and the resulting value in the cart was reduced accordingly.